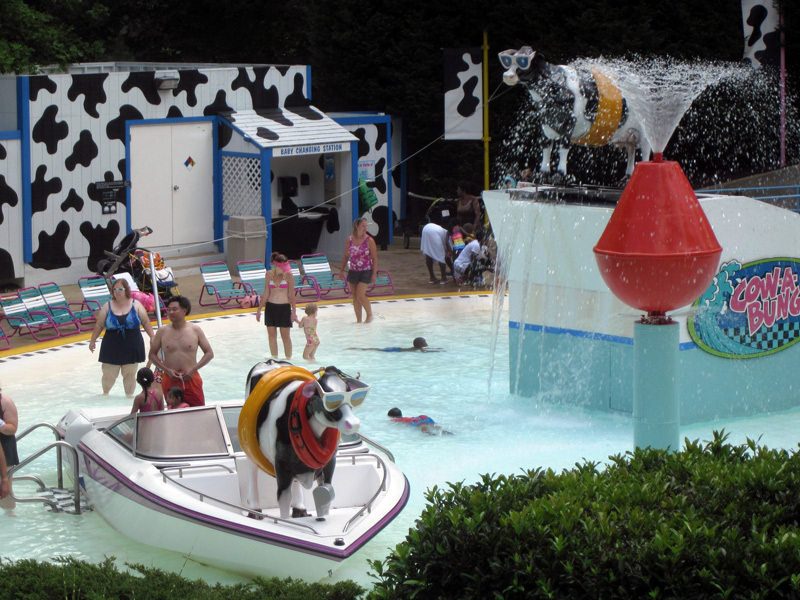 Cows just want to have fun… at the waterpark! Thanks to my fellow blogger at Back Seat View, I found out today when visiting her blog that cows like to hang out at the waterpark. Maybe not all waterparks, but at least you can find a few of them at Water Country USA in Virginia. They are part of the Cow-A-Bunga attraction. Do these cows look like they’re having a blast, or what? I love the sunglasses and the floating ring for safety. Oh, and let’s not forget the cowhide paint job in the background. Whoever designed this attraction really is crazy about cows! Me too! Especially since cows are not known for their swimming abilities. I thought it was a great find by Queen of Zoom!